He unveiled the theme for his presidential year during the opening plenary session of the 2012 International Assembly, a training event for incoming Rotary district governors. 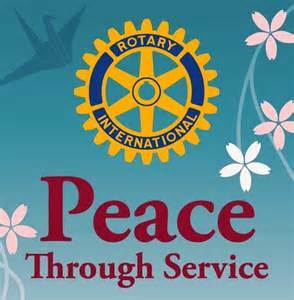 “Peace, in all of the ways that we can understand it, is a real goal and a realistic goal for Rotary,” he said. “Peace is not something that can only be achieved through agreements, by governments, or through heroic struggles. It is something that we can find and that we can achieve, every day and in many simple ways.” Peace has different meanings for different people, Tanaka said. “No definition is right, and no definition is wrong,” he said. “However we use the word, this is what peace means for us. “No matter how we use, or understand the word, Rotary can help us to achieve it,” he added.